Indigo may be the 6th colour of the rainbow, but this hue is certainly tops when it comes to what is on trend in Interior Design. A natural plant based dye that is believed to have been in use since the Bronze Age, is now used around the globe to colour textiles. 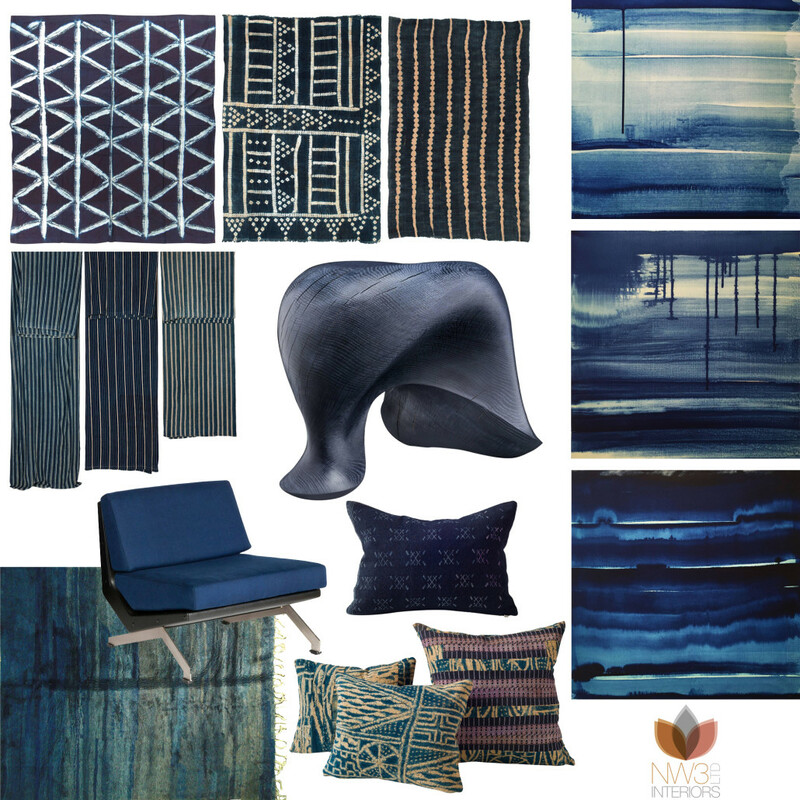 Many cultures have developed rather ingenious ways of creating patterns and variations in tonal ranges with indigo, especially the people of Western Africa, India and Southern China. Large quantities of indigo started to ship from India to Europe in the 17th Century and indigo was often referred to as “Blue Gold” as it was an ideal commodity in trading since it was compact, did not perish quickly, was of a high value and in great demand. By 1897 synthetic indigo dyes entered the market and have dominated commercial production since; however, with the increased demand for natural and sustainable products there has been a resurgence in the production of natural indigo. I have assembled an edit of items on offer via 1st Dibs, a fantastic resource for vintage + antiques + art, to highlight bits of blue gold perfect to incorporate into a space to be on trend. Whether your style is modern + minimal, mid-century, eclectic, modern nomad, contemporary, preppy or new traditionalist, indigo is a brilliant choice!